Built this a while back, but as others have posted oldies but goodies, decided to show I do actually manage to get somthing across my work bench occasionally! Good kits the Roden’s, if maybe not for beginners. Soft plastic can make building tricky at times. Rigging done with my personal favourite medium, stretched sprue, love working with that stuff! As I recall, markings for an aircraft used to fly the Prince of Wales over the Italian front. Would love to get hold of the WnW Bristol Fighter. One day! when done !Did you have problems with the decals ? A looker here James. How do you keep intrusive fingers from damaging the rigging? Looking great and I especially like the open engine covers! I built the EDUARD versio a year ago and was very sorry not to go for teh Roden one because of the possibility to display it with exposed engine. Thanks for kind comments! Replies to some questions: Yes I did have trouble with the decals, they are thick and brittle! Nasty! Have they improved I wonder? 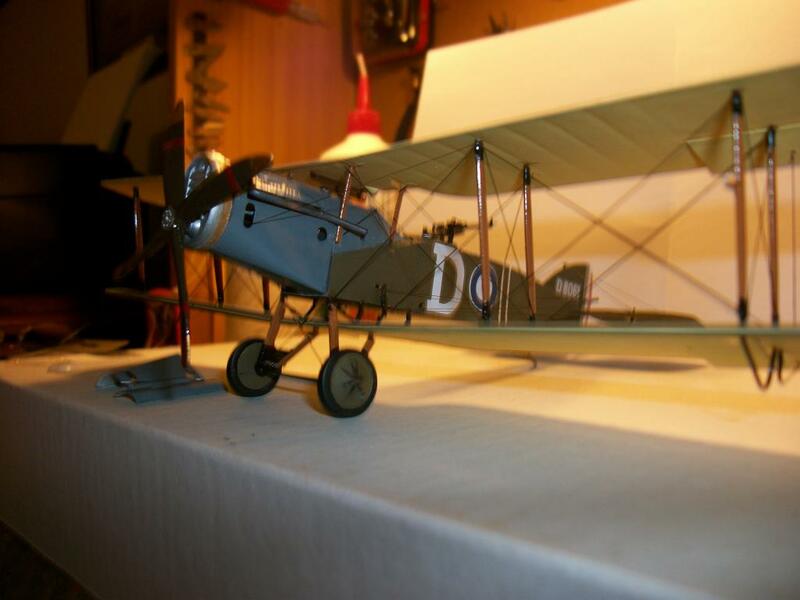 I have a 1/48th Roden ambulance DH9, creeping it’s way across my bench, interesting subject, flying strapped down under the sacophagus type stretcher cover on the rear fuselage decking in the turbulence and heat of Somaliland, must have been far worse than any illness! Will see what it’s decals are like. Yes with Roden, cutting parts away from the tree is difficult as Roden use heavy injection points as such. The kits are very good however, “fabric” surface engraving is subtle, detail in 1/48 is excellent. Not always easy but end result worth the effort. Roden sure burst on to the WW1 scene, after years of drought, thankfully! As for intrusive fingers, well, been lucky, my one young daughter has carried out a hard landing…but stretch sprue is very easy to repair. Well, it certainly looks good, James, and you’ve obviously got the knack with the stretched sprue, is that because you’ve used the Roden’s own sprue, which seems to be a particular kind of soft plastic? Thanks George, no didn’t use Roden sprue, but it would be good to try. What I do is any model or parts trees I get that are moulded in black, I harvest as much of the sprue as possible, and store in the old parts box. Saves the problem of painting it later, although that is not too hard. I know rigging wires were often metallic, but black just looks universally good for rigging and aerial wires, I think. Stretched sprue is fun, with practice you can make some pretty thin “wire” I think it’s surprisingly strong also. Securing it with white glue works great as it dries clear, and shrinks slightly on drying, adding a little tension. Just measure the gap in the struts with deviders, cut a piece, dip each end in white glue and pop it in place. After I’ve stretched out the sprue, Immediately drop one end and let it hang, this will normally ensure it cools dead straight, otherwise it can cool with a bend in it, which is a pain to work with. Great for complex rigging on smaller scales. Nice looking build, James. This same kit is one of my first WWI builds several years ago. 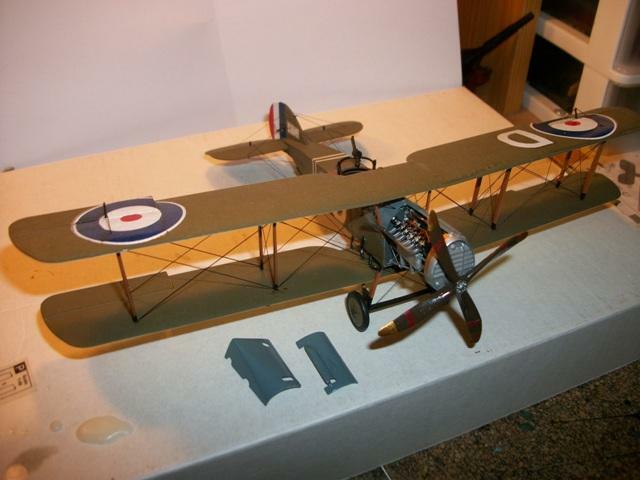 With Wingnut Wings fast becoming the Tamigawa of the WWI modelling scene, it’s easy to forget that Roden were the only game in town for many years, but patience and an eye for detail usually yields good results. Thanks Paul and Rob. 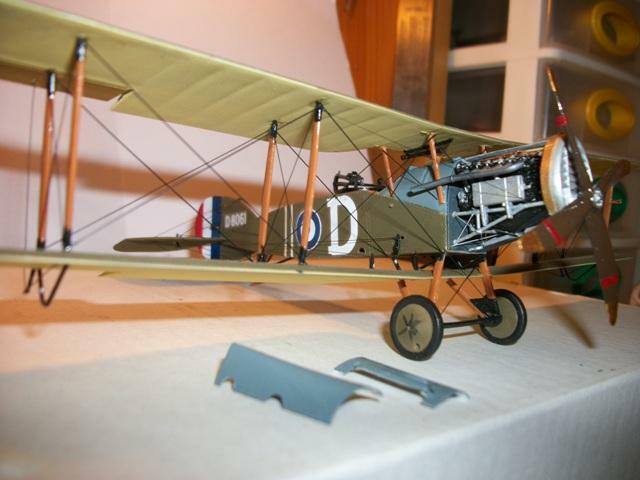 Agree Rob, Roden brought a whole breath of fresh air to the WW1 aircraft scene, I built their 1/32 Pfalz and I was very impressed. Some fit issues and as I said they can be a bit tricky, but look very good when complete. WnW definately have emerged as the class leader, but Roden still leads the 1/48 field I think. Eduard also in the running of course. This is absolutely beautiful. A very stunning build.